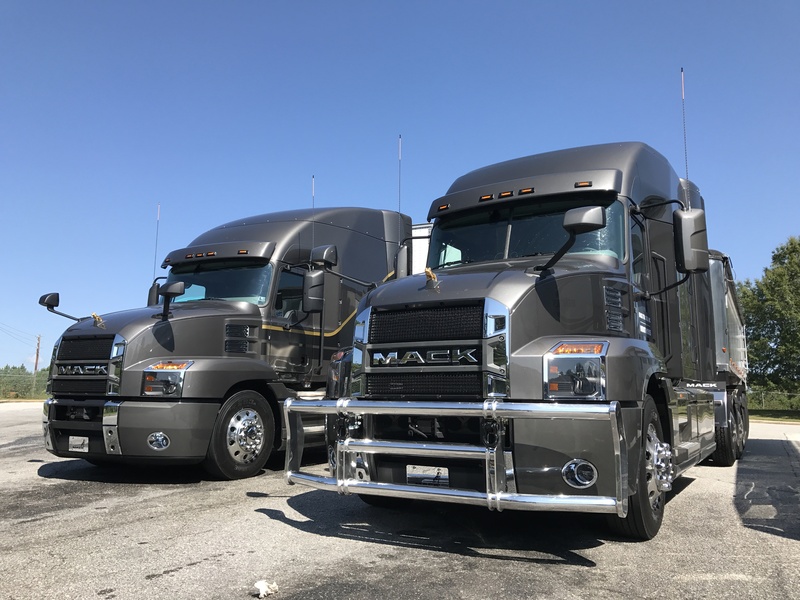 OAKLAND, Calif. – Mack Trucks says it has some work to do in the western U.S., and in Canada, to build market share on the back of its new Anthem highway tractor. During a press event here Dec. 3, Jonathan Randall, the company’s senior vice-president of North American sales, said the company has the right equipment to tackle heavy loads and difficult terrain. Yet its market share in the western U.S. languishes several points behind its national share. 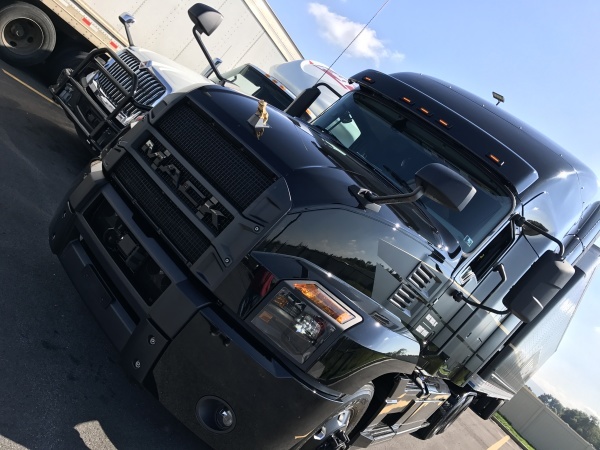 Randall said Mack’s 13-liter MP8 engine produces up to 505 hp and 1,860 lb.-ft. of torque, enough to handle even the steepest grades in a fuel-efficient manner. The new Anthem tractor fits the bill for regional and linehaul applications, Randall added, where the strongest growth is expected in what is shaping up to be an excellent 2018. Mack is projecting the Class 8 truck market in the U.S., Canada and Mexico, to reach 260,000 units next year, up from about 235,000 this year. Reasons for optimism include: a strong start to holiday spending, a stable construction sector, increased manufacturing levels, higher freight volumes, and balanced business inventories. “Everything seems to be lining up for a very good year next year as it relates to the industry,” said Randall. Mack is looking to ride its popular new Anthem model to greater market share in 2018, particularly in the west and in Canada, where its market share has slipped. Randall said the Anthem has opened doors to some fleets that have not traditionally considered Mack trucks. The regional and linehaul segments represent the greatest opportunities for growth, since their share of the overall Class 8 market is expected to rise from about 41% this year to their traditional range of 48%. Roy Horton, director of product strategy, said Mack is well equipped to take advantage of this shifting market, especially in the western region. He said the MP8 with 505 hp and 1,860 lb.-ft. of torque can pull 80,000 lbs up the long 6% Baker’s Grade in 110 F temperatures without trouble. He insisted it’s a viable alternative to the 15-liter and offers weight savings as well. “We’re well suited to meet the challenges here in the western region,” he said. The MP8 can also be spec’d with turbocompounding, which captures wasted exhaust heat and converts it to usable power, providing up to an 8.8% fuel economy improvement compared to a GHG14 baseline engine. Horton also said the mDrive transmission is ideal for the challenging terrain in the west, and it is now being spec’d in more than 90% of Mack’s highway trucks. “It’s the most dominant transmission across our product range,” he said. With all the buzz of late about new alternatives to diesel power, Horton pointed out Mack will be ready for whichever technology wins out. Horton said electric-powered Class 8 trucks will likely first be deployed in segments where they return to home base daily for charging, including refuse applications. Next will come fixed routes with secure charging infrastructure, some regional and vocational applications, and finally long-haul, but only along corridors with secured infrastructure.